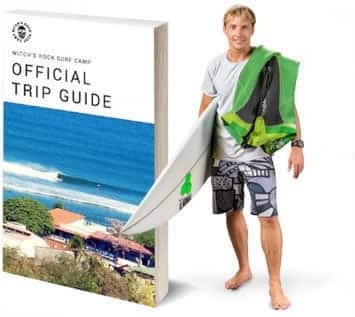 Are you a kamikaze surfer looking for adventure and raw ocean power? 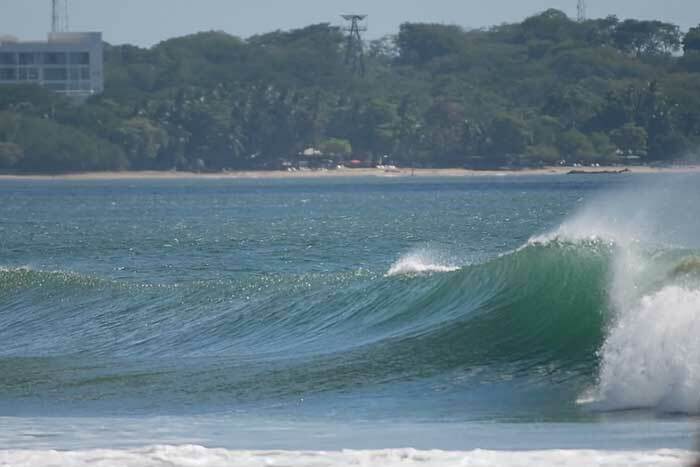 Isla Capitán is a deep water surf spot right offshore of Tamarindo that offers a long, pinwheeling left hander and a cyclops style right hand slab that you would hesitate to even mindsurf. A fickle right hander that turns on with a solid NW swell. This right hander offers a quick barrel takeoff to a nice walled up line for wrapping turns. A fickle wave that can be really fun with the right conditions. This wave breaks over shallow rocks and offers racey left handers with very few surfers. 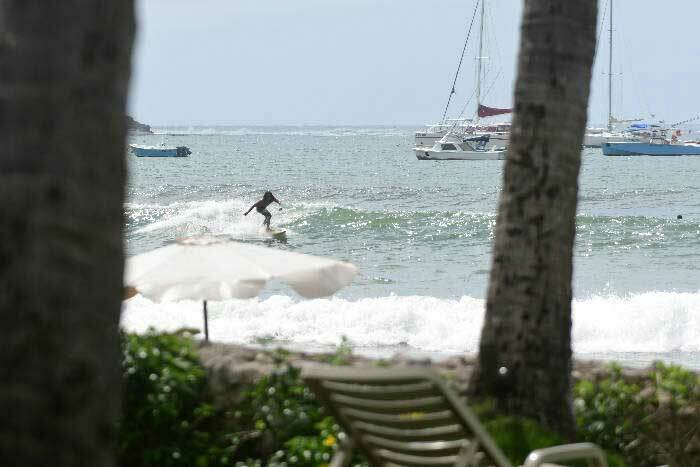 Tamarindo’s premier slab wave reserved for advanced surfers. When the swell gets big, this wave can offer a quick, intense ride with a behind-the-rock takeoff. Just inside of Pico Grande is it’s little brother, Pico Pequeño. This is Tamarindo’s ultimate novelty wave. Imagine a white water roll in to fast, wedging shorebreak. 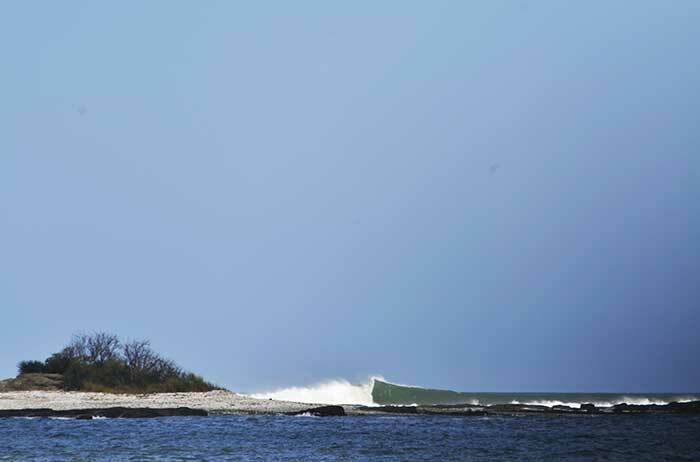 The Tamarindo groms love this spot. Are you looking for the best beginner beach in Costa Rica? 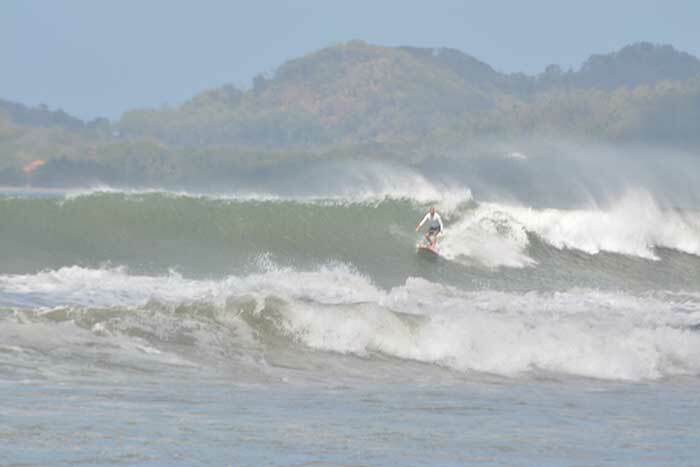 Tamarindo’s beach break is ideal if you’re looking to learn the fundamentals in a safe environment. 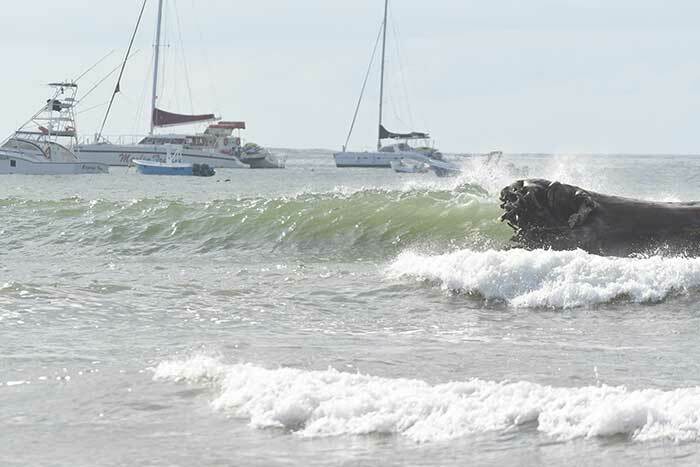 The rivermouth in Tamarindo can get good… VERY GOOD. 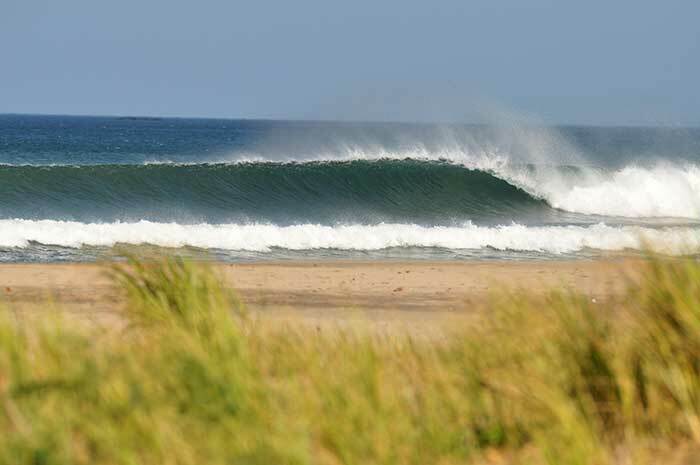 When all the elements align, you will find 200 meter cylindrical right-hand barrels over a shallow sandbar breaking right in front of Witch’s Rock Surf Camp. A semi-secret wave with a local vibe and fun, mellow surf. 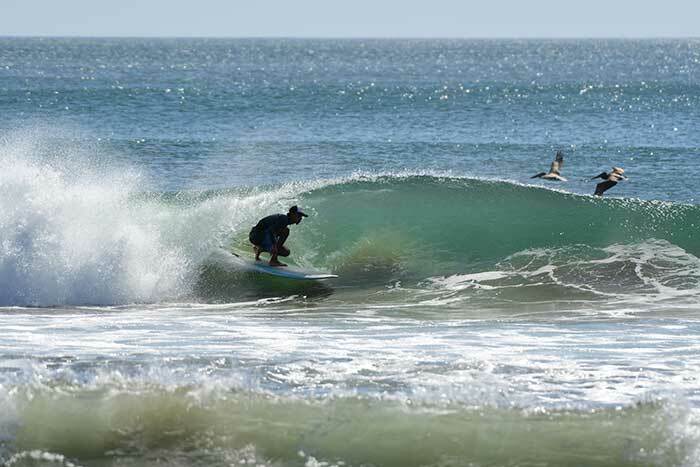 Casitas offers an A-frame peak for all levels and the surf craft of your choice. Looking avoid the agro crowds and catch a mellow session with your buddies? Palm Beach in Playa Grande offers fun, sizable waves in the center of this beautiful white-sand beach. Famous for offshore winds, open lines, and double-up barrel sections, Playa Grande’s main peak holds it’s reputation as one of the best waves in Costa Rica. This spot can get crowded, but just be respectful, show that you rip, and you will do fine. 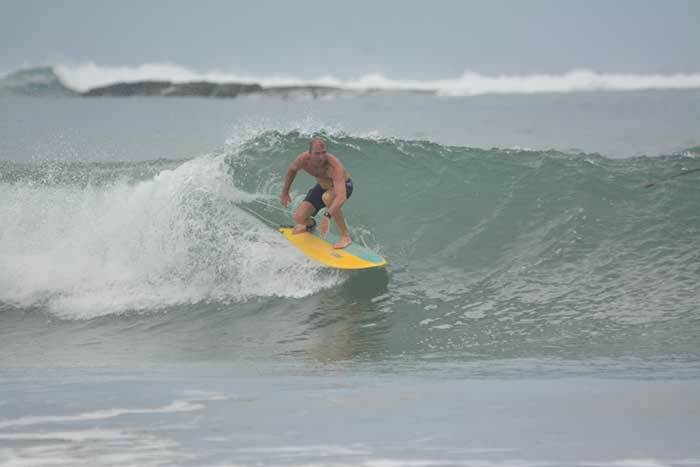 Located in northern Playa Grande, Las Palmeras is a beachbreak that offers fun waves for surfers of all levels. Surfers and beach goers alike enjoy this location for the shady palm trees that line the beach along with the and mellow surf crowd.